I was going through some of my archives the other day and I found these photos from one of the first plays I ever photographed. 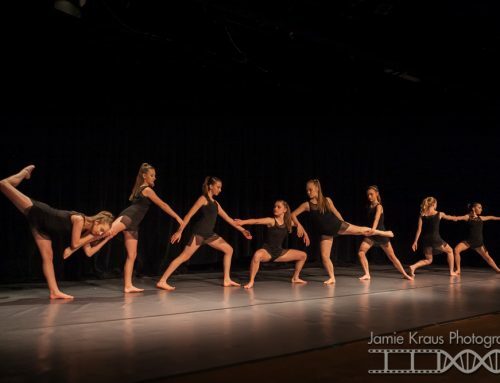 While I was in college, at RIT, I started finding my niche with performing arts photography. Since my school didn’t have a theater program, I reached out to a nearby university and asked to photograph one of their productions. I had photographed plenty of opera and dance at that point, but this was my first straight play. I’ve since photographed many plays for Naropa University’s MFA Theater Program. 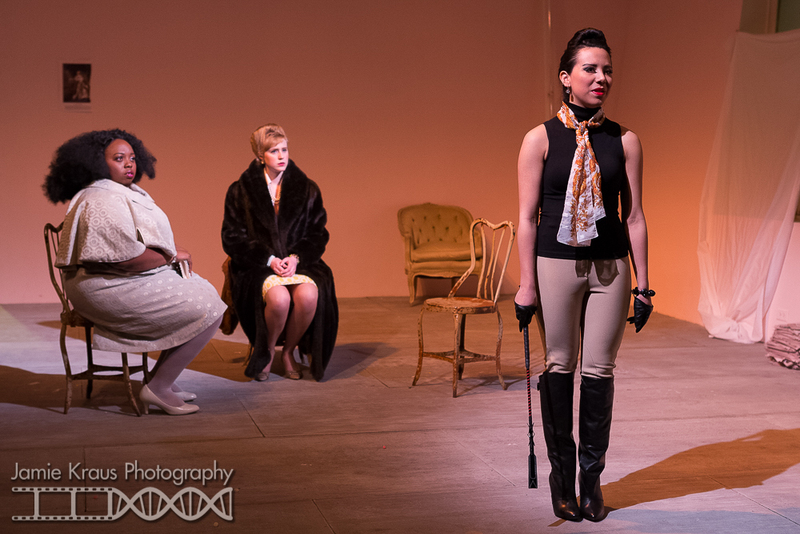 This adaption of “Madame de Sade” was performed by the International Theater Program at the University of Rochester. Madame de Sade is a 1965 historical fiction play written by Yukio Mishima, set in Paris in the late 1700s. The play has an all female cast. The University of Rochester adapted the play to be set in the time of it’s writing. 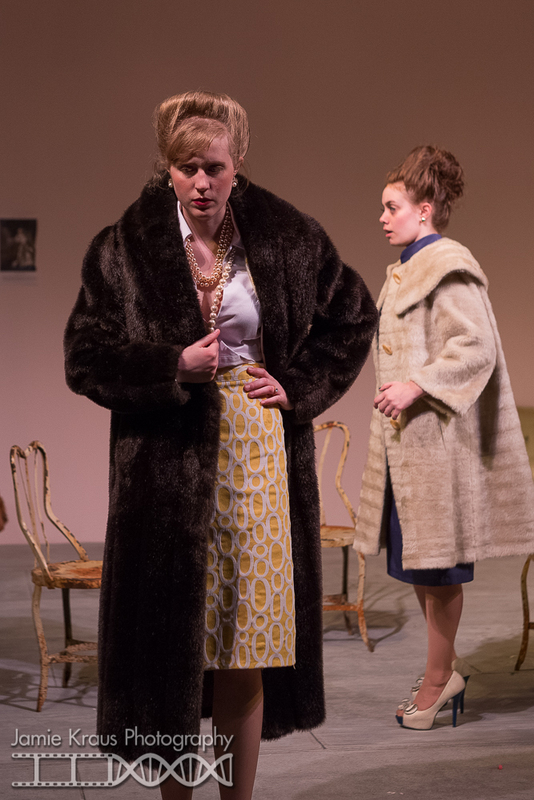 The costumes and props were all inspired by the 1960s rather than the 1700s. It was wonderful to watch such an interesting adaptation of a modern play. I loved that the Theater Department chose to feature a play with an all female cast as well! I found that with photographing straight plays, as opposed to operas and musicals, the emotions are less exaggerated, which meant I had to work a bit harder to capture them well. 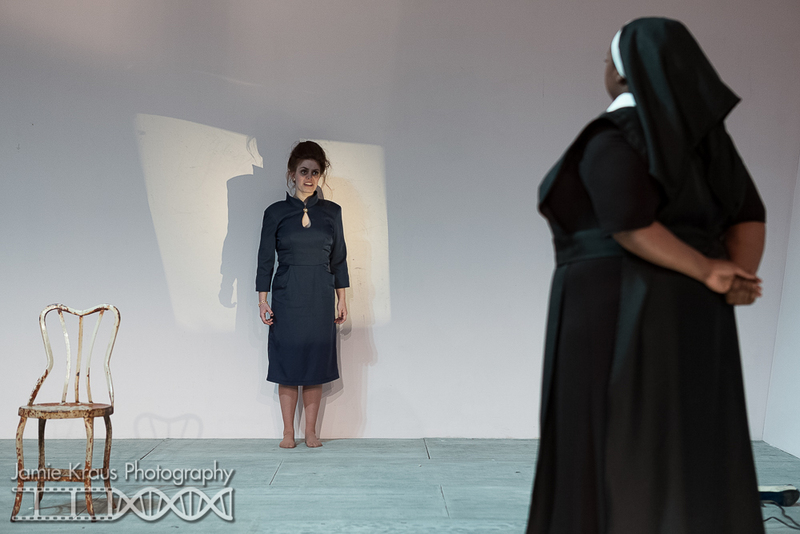 There were many quiet moments throughout this play that held so much emotion in context and it was a challenge to find ways to capture that tension without having the context of the rest of the scene. This is always a challenge in photographing any performance, but I always love a good challenge!